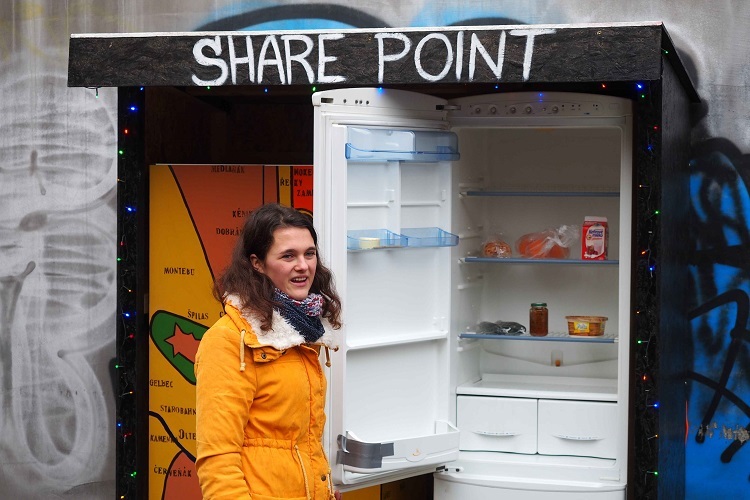 Brno, Jan 10 (BD) – On Monday, Brno got its first public fridge and public cupboard, the so-called ‘Share Point pro Brno’. Located at Římské náměstí, it is a self-service point where citizens can leave food and clothes for those in need. 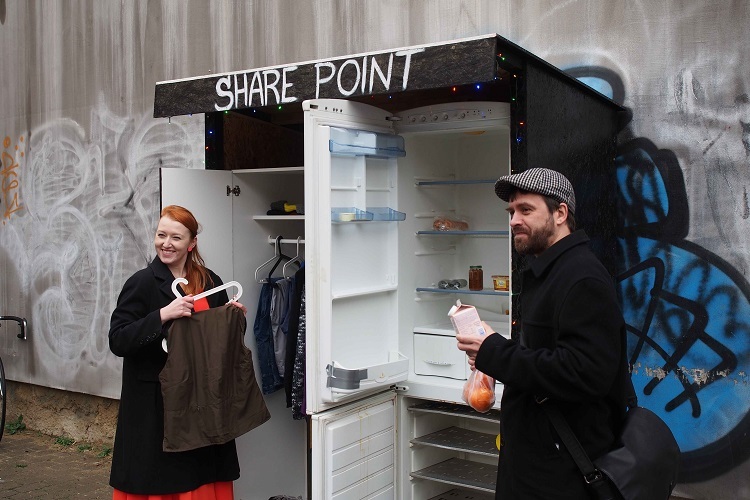 There have been two separate initiatives behind this idea – the informal Public Fridge group and People in Safety s.r.o. The groups manage the operation of the public fridge and cupboard. Brno-City Hall (radnice Brno-střed) joined the project and supported Share Point with a subsidy of CZK 39,000 and provided the location. “I am very glad that we can help with this project. The young people who prepare it have my great admiration. The idea of ​​shared food and clothes in Brno has not yet been brought to life in this form, so I consider today to be a breakthrough. If Share Point turns out successfully, we can help create more similar sites,” says David Oplatek, the member of the Council of the Brno-střed district for social and health and national minorities. The aim of the project is to raise awareness of the homelessness and food waste.